Microtronix works with strategic partners worldwide to provide our customers with the best possible service we can! We also carefully integrate all partnerships together, to provide one giant grid of services, allowing Microtronix to provide our customers a truly efficient IT Solutions Firm from top to bottom. iGuate is one of our strongest partnerships in Guatemala, C.A. We work closely with iGuate, providing each other support for everything from development, to design services. Microtronix has been working with iGuate now for 12 years, our longest running partnership to date! Microtronix is proud to be Valentino's unique provider of Hosting and server solutions! We also work closely with them on development projects for their customers. Valentino also assists Microtronix when we have overflow projects with tight deadlines. Microtronix works closely with InWave Solutions of California to provide their customers the very best in Hosting, and web development. Manz Web Designs of Northwest Ohio, uses Microtronix white label for all their server and hosting needs. We work hard to provide the best possible support, uptime, and services we can for their customers. Microtronix uses ColoCrossing for some of our more mission critical colocation needs. Microtronix has been colocating at Joe's for years, and love every minute of it! They have some of the best support staff for our racks that we have found in the business! 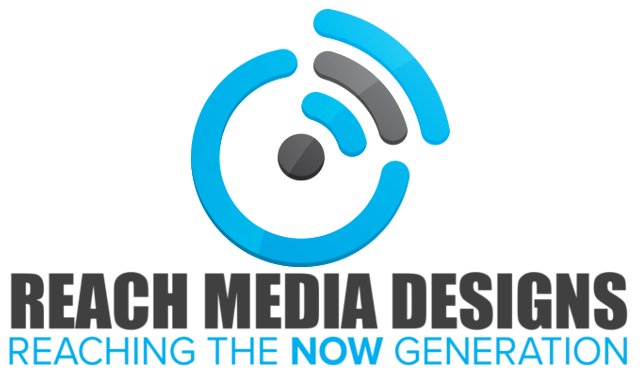 Reach Media Designs works closely with Microtronix on state of the art websites and mobile apps for their customers, as well as hosting and domain services. Through Greg and his team, Microtronix provides all our customers rich videography of the highest quality! 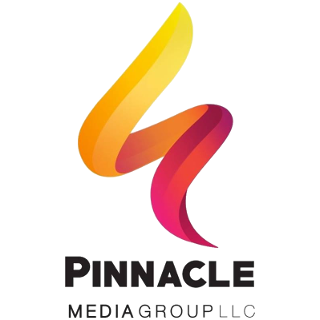 Pinnacle Media Group is a forerunner of Social Media Marketing, and website design in the tri-state area. At the top of their game, they use Microtronix for all their hosting, and development needs. How do you become a partner, and what does it entail? Microtronix partners with companies worldwide, from SMB's to Large Corporations, all to provide them with internal product and staff support. As well to create a "mesh", if you will, of great companies that can all work together for a common goal, to give our customers the best possible service we can. What does Microtronix provide to it's partners? Microtronix has over 18 years of experience in the web, hosting, and development field. Working side-by-side with corporations worldwide to provide our customers the best in products and support. Having been in this industry for so long we have forged lasting business relationships with the top providers in the industry. We make these contacts readily available to all partners, so that together we can grow your business! Microtronix is dedicated to our customers and yours. We provide U.S. based white-label support staff for you and your customers. This enables you to provide top-notch hosting to your customers, then step back and let Microtronix staff support your customers, fully white-label as if we were you in your customer's mind. No more overseas call centers, our staff is fully U.S. based! Microtronix provides a truly white-label hosting solution, depending on the number of your customers being hosted, we offer Reseller hosting, VPS Servers, and Dedicated servers, all white-labeled as you. As far as your customers are concerned you are the hosting provider! We provide full management for all your servers and services, meaning your staff doesn't have to know how to manage a Linux hosting server, we do that for you all included. There is no in-between either, we are the host, if you have an issue our staff solves it in-house without opening tickets with third party reseller companies. The buck stops here! And since we own all our own equipment, we can match or beat any price you are being quoted for the same thing elsewhere! We provide you with a full stack development firm at your fingertips! This means you can sell till your heart's content, to customers worldwide, and never have to worry about adding staff or finding staff. No W2's, no hiring, no worrying. Microtronix has a full staff of developers, graphic designers, App Developers, Linux and server experts, all at your disposal. You sell the projects, be it websites, cloud systems, mobile apps - and we will provide the support needed to realize that project, be it servers, development, or design. If we don't provide the service in-house, one of our partners in our giant mesh network does, and we can provide that service to you! Microtronix will even support you on sales, again completely white-labeled as you. Our Professionals will go with you, or remote meeting, to a sales meeting if you need the expert development support to "Close the Deal". As far as your customer is concerned, we aren't Microtronix at those meetings, we are you! Microtronix is always looking for new partnerships! If you're an SMB development or design firm, a marketing agency that wants to get into website's and development without finding a developer, or an IT shop that offers website design and development but don't have the staff to support the growing demand, then you are a perfect fit to partner with Microtronix! We support SMB's, other web design and development firms, marketing agencies, and IT shops around the world! Fill out the form below and one of our senior executives will be in touch shortly to discuss partnership and what it entails. Zero obligation to partner after, we simply discuss the opportunity and what it might mean for your business. There are no fee's or other payment's necessary to partner with us. We share projects back and forth, if you have a service that us or another partner needs, we fill that need internally in a Giant mesh network. Fully managed white-label hosting and servers. Development services and support, websites, app development. Phone support for your customers hosting and systems, white-labeled. Sales support, from our dedicated sales staff and development professionals, to close the deal! Any service that we offer, or a partner offers, is available to you and your customers. Discounted pricing on services and work for partners, so you can resell those services to your customers at competitive pricing. What services do you sell/offer?